A Porsche 944 is a lot of things. It’s relatively cheap to buy and maintain, arguably the most affordable way to own a Porsche. It’s rewarding to drive, for both novice and experienced drivers. And you can often find them on streets and racetracks everywhere. Chances are, however, that you haven’t seen one driven in anger off-road, sliding around and kicking up a rooster tail of snow or dirt. Meet Keystone Region PCA member Charlie Tameris, an amateur rally driver from Pennsylvania who does just that. His weapon of choice: a 1987 944. Raised in Wellsboro, where he still lives, Charlie was no stranger to rally growing up. The oldest, continuously running motorsport event in Pennsylvania, the Susquehannock Trail Performance Rally (STPR), was started in his hometown 38 years ago, and he attended the inaugural event with his dad. The rally stages are about four miles from his home so rally cars regularly drive past his house transiting from one stage to the next. 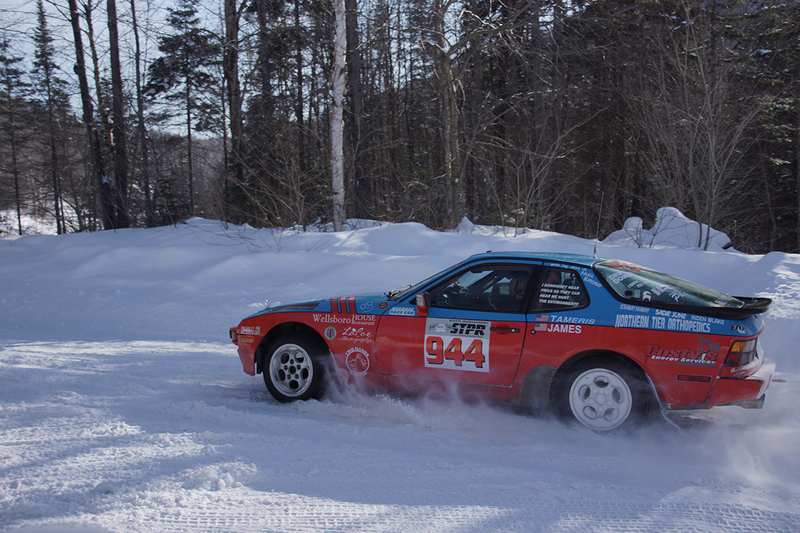 In 2013, he entered STPR with his 944 for his first full-fledged rally event. Not much had to be done to make it rally ready. It had stock suspension with Bilstein shocks, which has since been upgraded to Fox coilovers (mounted to reinforced semi-trailing arms at the rear). The engine is stock, but breathes better with headers and a high-flow catalytic converter leading to a custom 2.25-inch exhaust ending in a glass-pack muffler. He fitted front and rear skid plates that “help me go over anything and protect the engine and protect the gear box.” In addition to the pop-up headlamps, a pair of PC Nitrous LED fog lights are mounted below the front bumper, and sets of seven-inch and eight-inch LED rally lights can be equipped. The car already had a full roll cage installed when it came into Charlie’s possession, though it was updated slightly to comply with safety rules. He added two Cobra racing seats — one for himself, one for his co-driver. Aiding the co-driver, who reads detailed course notes to Charlie during rallies, is a Terratrip trip computer that measures distance down to a hundredth of a mile. 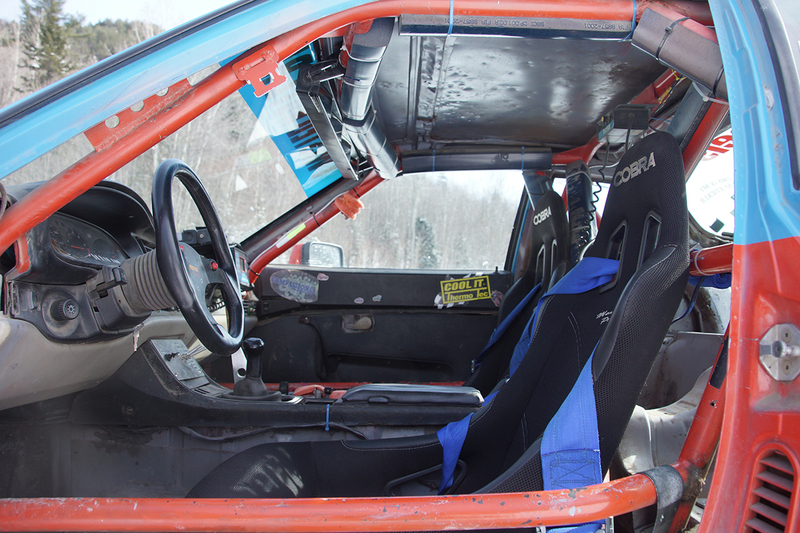 There’s one rally-specific performance upgrade that also makes Charlie’s 944 street-legal in his state: a hand brake. “Everybody knows that a 944, when they come from the factory, the parking brake is on the left-hand side down by the door sill,” he says. “Well, when you put a cage into these cars, and you put in your sub-bar, you have to take out the e-brake. 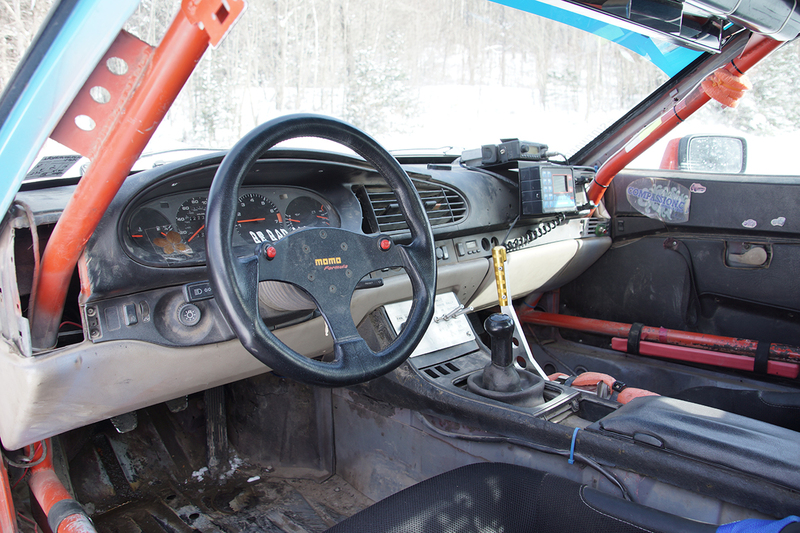 In Pennsylvania, we have to have a working, functioning hand-brake for inspection,” so he installed a hydraulic hand brake and mounted the lever to the right of the steering wheel and shifter. “It’s as simple as interrupting the brake line that goes back to the rear,” he says, so a pull of the hand brake now actuates the rear calipers — the parking brake drums are no longer functional. Charlie got through the first day of his first rally at STPR 2013, but on the second day hit a tree that took him out of the race. To that he reveals, “I told my girlfriend that I never said I was just going to do one rally, I told her that I had to finish one rally,” so he and his crew fixed and prepared the car for the New England Forest Rally (NEFR) in Maine five weeks later. He made it to the event and through both days, completing his first rally. “And then we came back [to STPR] last year, blew the engine (on day one), stayed up all night rebuilding the engine, changed the head gasket.” It was nighttime, and Charlie didn’t have a head gasket, so he and his co-driver split up to cover more ground hunting for one. Charlie headed to Watkins Glen because the PCA Zone 1 Porsche Clash was taking place there and he hoped somebody would have a spare gasket. Ultimately Tony procured the part at friend’s shop in Canandaigua, New York. After returning with the part and rebuilding the engine through the night, Charlie started it up the next morning at 9 AM, the timing belt slipped, and all the intake valves bent. 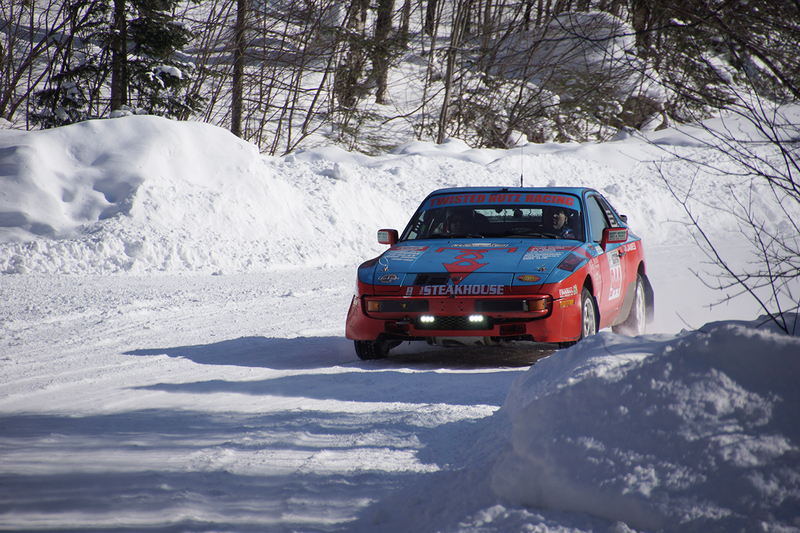 The 944 had to be at the start of the rally stage by 11:55 AM. 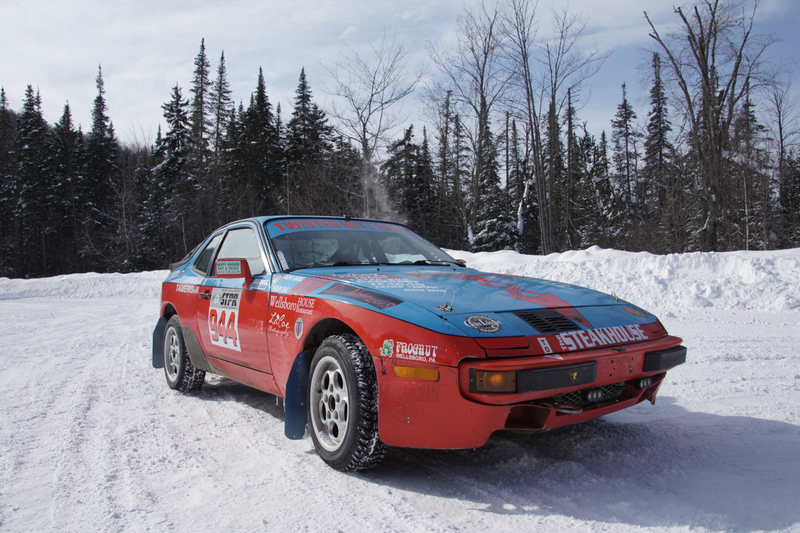 Somehow Charlie and I found ourselves at Team O’Neil Rally School in New Hampshire in February, and he had his rally 944 in tow. The snow was thick and more was in the forecast — perfect. This is where Ken Block of Gymkhana fame was taught the skills necessary to drive with maniacal precision, as well as countless other rally drivers, military and government employees, high-school/college graduates and their parents, and bucket-listers alike. They all go to Team O’Neil and leave better drivers — and have a great time in the process. 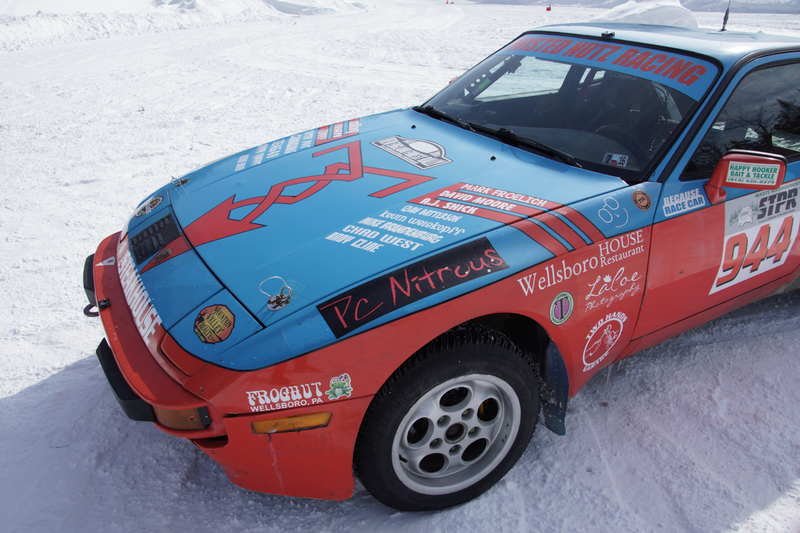 We hoped to do the same and also get Charlie behind the wheel of his 944 in some fresh powder. Team O’Neil has a particular method of teaching students vehicle control. The school’s program is progressive, starting them in front-wheel drive cars to learn fundamentals before moving them to all/four-wheel drive and finally rear-wheel drive machines. That meant seat time in the rear-drive 944 would wait until after Charlie and I completed the program. 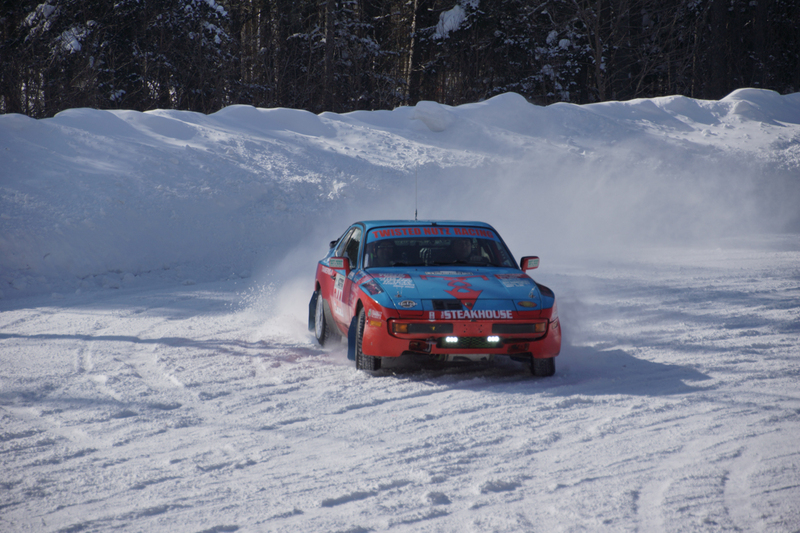 Of course, a main draw of the rally school is the chance to drive on snow or gravel, depending on the season. On loose terrain, control inputs are delayed and grip limits are reached at slower speeds, so it’s an ideal environment to learn vehicle dynamics at, and over, the limit. 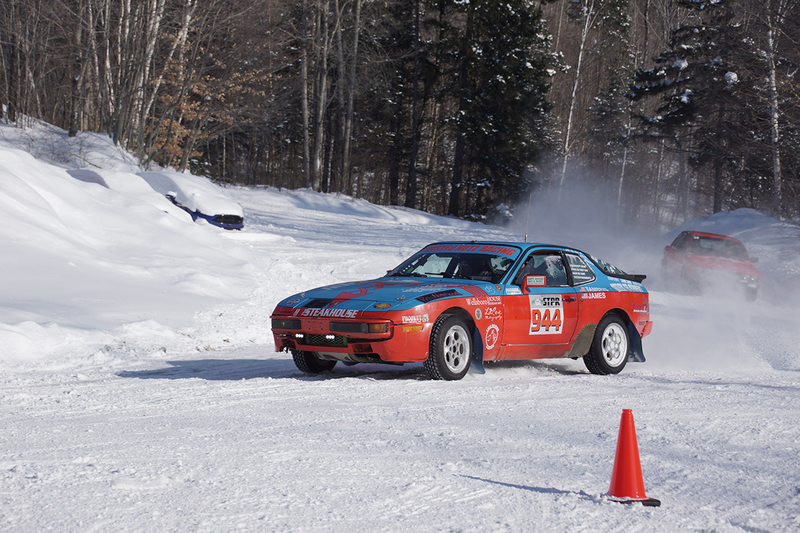 Drifting is inevitable, and encouraged when done correctly. School started in a Ford Fiesta, in which we learned how to maneuver around a skid pad and through a slalom course with minimal steering inputs and no throttle steering. Our instructors demonstrated and taught us that deft use of the brakes — left-foot braking in particular — is just as important as judicious use of the throttle on loose terrain. If a lift off the throttle and some steering input won’t turn the car in, then use the brakes to shift weight to the front and make it turn. Braking with your left foot and braking in turns are unintuitive techniques at first, yet they are mind-blowingly effective on snow, particularly in front-wheel and all-wheel-drive cars. It’s a lesson in weight transfer and grip management from which any driver can benefit. And during all that time spent sideways through the slalom course, we really learned the importance of looking where we wanted to drive. Or else get stuck in a snow bank. We moved on to the school’s four-wheel-drive Audi 4000 and rear-wheel-drive BMW 325i after learning how to left-foot brake. These cars opened up the option to throttle steer, a skill many Porsche drivers are familiar with, but in certain situations there is no substitute for knowing when and how to use the brakes. 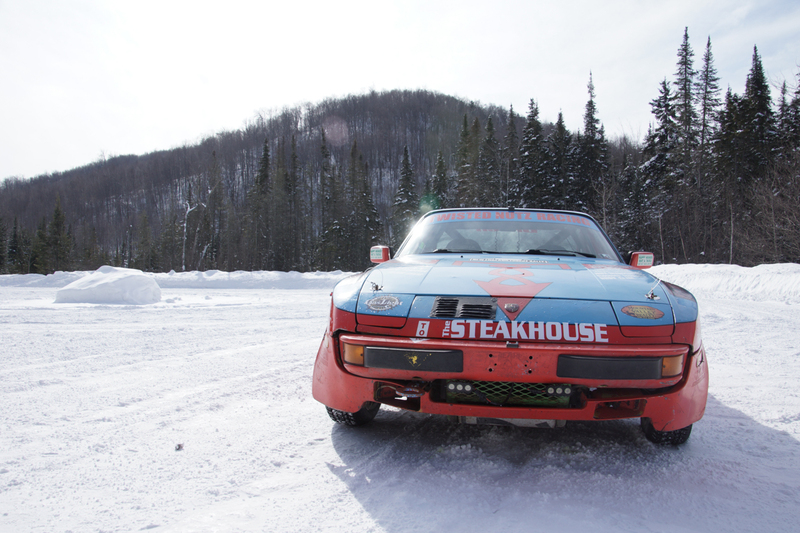 At the end of day three, Charlie finally got behind the wheel of his 944, shod with snow tires and running new coilover suspension. With a Team O’Neil instructor in the passenger seat, he took off. I rode shotgun in the camera car — one of the school’s BMWs with a GoPro on the windshield — while the school’s Training Director Travis Hanson pursued the 944. 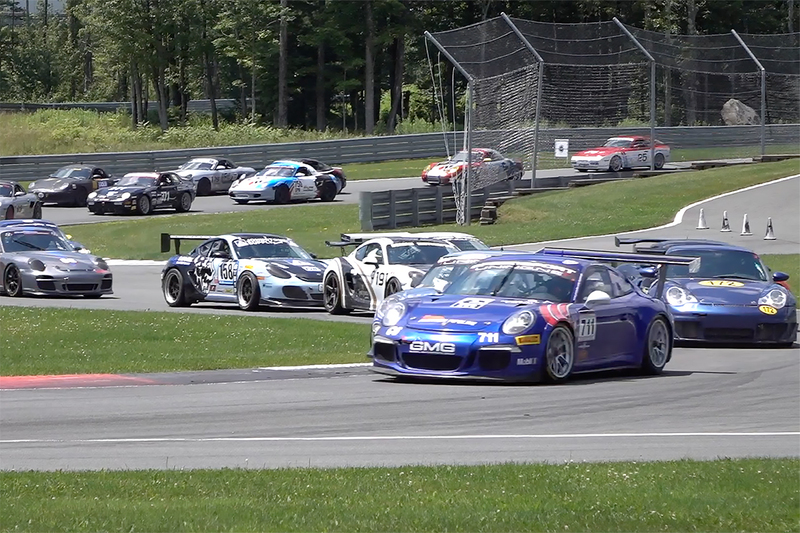 A curtain of snow spewed from the back of the Porsche as it slid its way through the course. Charlie was finding good grip out of turns and pulling a few car lengths as we followed close behind. It was a beautiful sight to watch the 944 drifting around the skid pad and then scrabbling back through the training course. After lapping it for an hour or so, he turned off the ignition and stepped out looking satisfied. “I really went up [to Team O’Neil] with the attitude of, ‘I’m really going to try to learn some stuff,’” he tells me a couple weeks later, “and they had so much to teach and so much that I had no clue about. It was a good time.” In particular, left-foot braking impressed him as much as it did me, and he’s toying with the idea of installing a semi-automatic sequential transmission in his 944, though he admits such an upgrade may be cost-prohibitive. Both of us left the school with a greater appreciation of the art of driving — there’s always something to learn. And I witnessed a rare combination that I’ve been eager to share: a 944 enthusiast getting his kicks driving it off-road. Rally can seem unapproachable due to the perceived danger of driving on unknown dirt or snow-covered roads, but that shouldn’t be the case. The rally community is tight knit and filled with selflessness in the heat of competition and hardship, and learning to drive comfortably on loose terrain is just a matter of practice. Rally schools are there to help — Team O’Neil was founded to give aspiring rally drivers the skills needed to finish rallies, which also prove useful to road drivers. Local rally cross events are another great, inexpensive way to test the waters. They’re set up similar to an autocross but on dirt, and cones are likely the only things you’ll hit. Drive there, have fun, drive home. Then vehicle choice should come into play. A front-engined, water-cooled Porsche, such as a 924, 944, or 968, is a good platform with its 50/50 weight balance, adequate power and torque, proven reliability, and parts availability. That said, building a rally car from the ground up isn’t easy. “Look online at old rally cars. Don’t try to build your own, because the cost of building, even an old ’87 Porsche, you’ve got $5,000 in a cage, and $3,000 in suspension,” Charlie says, “and then you need extra tires, extra rims, extra brakes.” He’s less than $5,000 into his car partly because it was nearly rally ready (though needing assembly) almost three years ago when he bought it. To keep running costs low, he searches online classifieds and networks at events to acquire parts cars for well under $1,000, which may supply fenders, hoods, doors, suspension parts, and other consumable items for years. Next time you’re itching to try something new with your Porsche, head over to your local rally cross and give it a go. You might be surprised at how much fun you’ll have drifting sideways, looking out the side window. And if you’re in the North East, particularly attending STPR, be sure to look for Charlie’s 944. Check out the video from last week on our experience at Team O'Neil with Charlie Tameris and his 944, and look forward to more next week!